Create, collect and publish unlimited video. We really mean it, no limits – go nuts! Each video contains a clickable Vimily logo that links to our website. The video page cannot be customized and each video has Vimily advertising next to it. 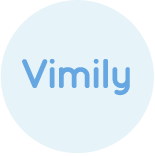 Your video can be viewed on Vimily - all traffic goes to Vimily, not your website. SEO and social meta tags customisation is not included in the free account. You have limited access to data captured from people filmed. Each filmed person is emailed a link to their video, to share and supercharge your brand exposure. Vimily branding is included in every email. The export to other email systems is not included. 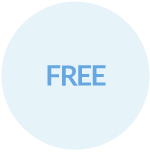 The free account offers basic analytics such as total video views, shares and email click through rates. When your video is shared, your clickable brand goes with it. Customise unlimited video pages, and place custom ads next to every single video. Embed all video into your website, each visit counts towards your page impressions. Enter meta tags to increase your SEO and visibility on social media. Collect data from every person filmed. 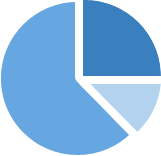 Export to your CRM’s and Sales channels. Each filmed person receives a link to their video by email. Use our customizable email system to rapidly distribute content, and insert your call to action to take advantage of 85% average email open rates. See exactly where your videos are watched, shared and liked. Find Key People of Influence by tracking most viewed to reach out to for accelerated exposure. Sign up to Vimily below. Vimily is completely free to use, so try it out and see how easy it is to generate exposure, leads and gather customer data. 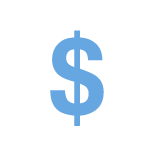 To brand video and maximize your sales channels, buy credits in your account – extremely cost effective and only pay for what you use. You are ready to go! Film testimonials, events, product reviews, campaigns, market research & build data driven, high return sales channels at the same time. You have complete control of how, and which of your videos are published. Create video with the Vimily app from anyone anywhere in the world, instantly. Every user can create unlimited video. Yes, unlimited. No fine print.